If you drive for a living – as a cabbie, a truck or bus driver, a courier or delivery driver – or if you’re in a sales or contracting job that requires a great deal of driving, the last thing you want or need is a DWI conviction. If you’re convicted of DUI in California, your license will be suspended temporarily. If you drive a company-owned vehicle, your employer’s insurance company may choose not to insure you any longer. And your own insurance rates will skyrocket. 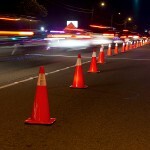 If you’re charged with DUI in Orange County, you must take every possible step to avoid a conviction. While no promises can ever be made regarding the result of any specific case, your best hope for justice after a DUI arrest is to contact an experienced Orange County DUI defense lawyer as quickly as possible. Driving isn’t the only career that can be threatened by a DWI conviction. If you are a pilot, you need to seek legal counsel immediately if you are facing a DUI charge. A pilot arrested for DWI must report the arrest within sixty days to the FAA’s Security and Investigations Division in Oklahoma City. Whether or not you are convicted, the arrest must be reported. In fact, pilots must report arrests, convictions, license suspensions – any and every alcohol-related legal action. The FAA may deny an application for, suspend, or revoke a pilot’s license if the person has two or more alcohol-related convictions or other alcohol-related legal actions within a three-year period. You may appeal an FAA decision with a DWI attorney’s help, but the FAA seldom reverses such decisions. 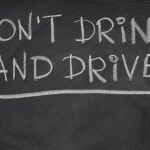 It’s always better if you can avoid this trouble simply by not drinking and driving. Nevertheless, if you face a DWI charge anywhere in southern California – whether you’re a pilot, a driver, or in any other line of work – get legal help promptly and call an experienced Orange County DWI defense lawyer right away.